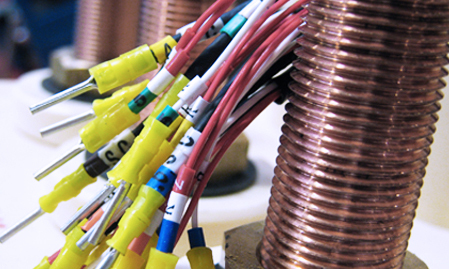 We have experience in the design and manufacture of motor control panels for use in exposed environments. Our designs can be weather proof and suitable for a wide range of temperatures, often from -50ºC to +50ºC. As a consequence they can be designed to withstand everything from ice being chipped off to the scorching heat from direct sunlight. Our controls are carefully designed with the operator in mind and can be made with easy to handle features suitable for use whilst wearing thick gloves. For ship use, we can supply the main motor controls indoors with a secondary control panel for an operator above deck providing the operator with access to the controls where they are needed. 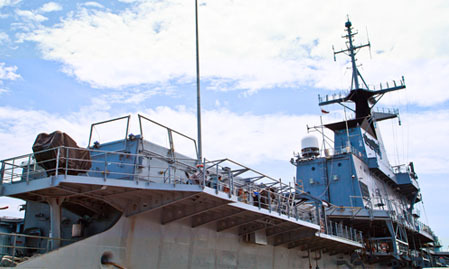 Many of our deck controls are used on military ships and submarines and we can offer designs in line with many of the major defence standards such as NES and Def-con, this includes the special testing requirements such as noise, vibration and shock testing which we carry out in house. We can also offer merchant equipment to ABS and Lloyds standards if required.